Souvenirs gathered from a journey through Andalucia remind us of long days filled with languid guitar & nights of percussive rhythms and jaleo. Studio Flamenco's musicians & dancers conjure memories of the Rio Guadalquivir; from the region of Cadiz to the gypsy quarter of Triana. 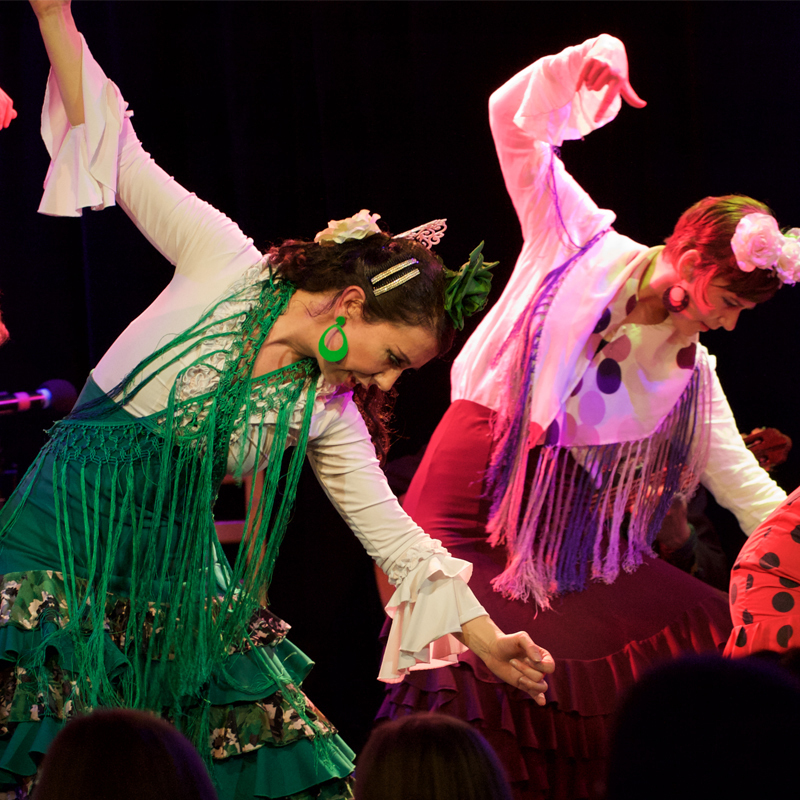 Studio Flamenco’s performance company has vast performance experience and includes some of Australia’s finest flamenco dancers and musicians. The company has presented many theatre productions, including with international artists, and has appeared in festivals and events across the country. Performances include the Adelaide International Guitar Festival, WOMAdelaide, Victorian Ventana festival, Adelaide Fringe Festival, Adelaide Cabaret Fringe Festival, Murray Lands Cultural Festival and the Australian Oysterfest, the South Australian Spanish club and a residency at Adelaide’s well-known ‘Tapas’ restaurant for many years. They are supported by Arts SA, Multicultural SA, the Australian National University, and the Spanish Ministry of Culture.